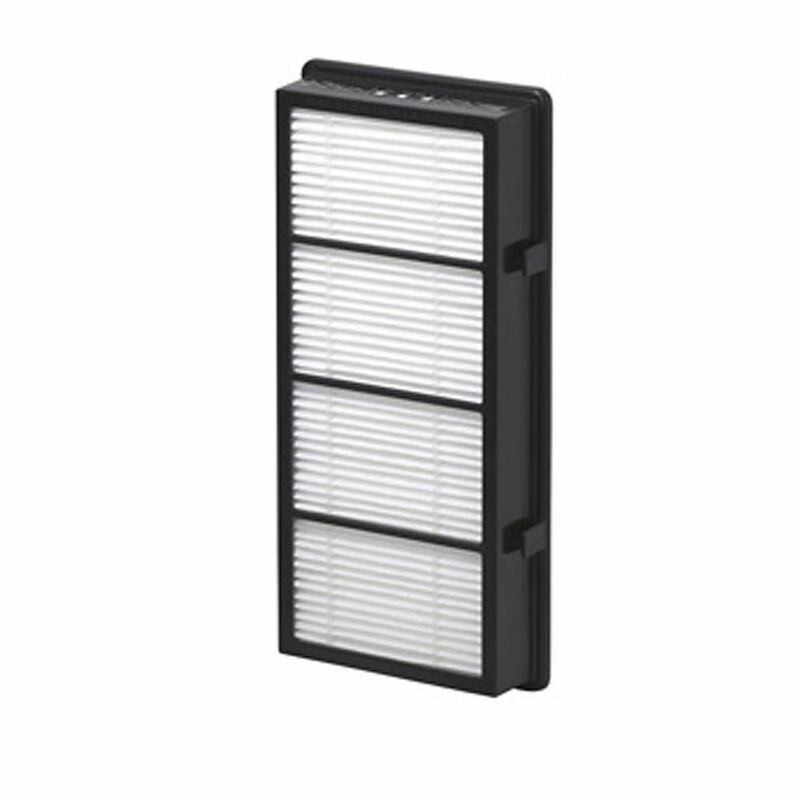 True HEPA filters can filter out 99.97% of airborne contaminants including dust, mould spores, dander, and pollen. Cleans indoor air in public and shared spaces such as restrooms, childcare facilities, waiting rooms and other areas of high concentrations of people. True HEPA filtration captures 99.97% of airborne particulates including bacteria and viruses. Patented EnviroSmart sensor automatically adjusts to optimize performance in response to airborne contaminants and/or room occupancy. Activated carbon filter adsorbs wide range of chemical contaminants and odors. Optional PlasmaTrue Bipolar Ionizer renders bacteria, viruses, and mold inactive. Filter replacement indicator lights. For spaces ranging from 700 to 1400 square feet. Professional installation suggested. 5 Speed Air Delivery up to 440 CFM. Vandal resistant reinforced housing. 5 Year Limited Warranty. The Germ Guardian's 3-in-1 air purifier with Pet Pure antimicrobial agent makes your indoor environment safe, clean and comfortable. It features a HEPA filter that removes 99.97% of airborne allergens, an activated charcoal filter to remove odours, and UV-C technology to kill bacteria and viruses in any room. Plus, it has an easy to use digital display and 5 speeds. The Multi-Fit<sup></sup> VF2006 HEPA Material Filter for Wet/Dry Vacuums fits most Shop-Vac<sup></sup>, MAXIMUM<sup></sup>, Mastervac<sup></sup> and Duravac<sup></sup> wet dry vacuums 18 litres (5 gallons) and larger. Removes 99.97% of all particles 0.3 microns and larger from the air. Allergens cleaned from the air might include particles such as pet dander and pollen. Not compatible with RIDGID<sup></sup>, CRAFTSMAN<sup></sup>, or WORKSHOP<sup></sup> Wet/Dry Vacs. True HEPA Filter 2 Pack for BAP706, HAP706, HAP716 True HEPA filters can filter out 99.97% of airborne contaminants including dust, mould spores, dander, and pollen.